We are a leading Manufacturer of double sided foam tapes and double sided polyester tapes from Dadra, India. 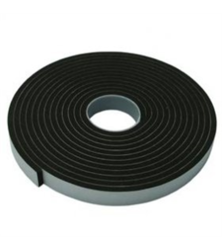 Double Sided Foam Tapes is made from acrylic adhesive or hot melt rubber adhesive and laminated with release paper. Tissue Tapes made with wide range of adhesive to get different adhesion level and so makes its application wider. We are using Printed as well as different color release paper. We also make Repulpable Tissue Tapes for news paper and printing industries and which is environmental friendly products as its fully recyclable. Our Double Sided Tissue Tapes has RICH and ROHS approval from SGS. This makes our tapes to be applied for all products which is been for export to Europe and all over the worlds. Excellent tack and good strength for immediate bonding, good resistance to solvent, heat and chemical. 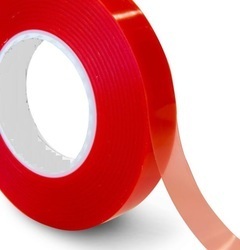 With the help of our diligent professionals, we are able to manufacture and supply a range of Double Sided Polyester Tapes.These products are manufactured using optimum quality raw material and latest technology in compliance with the industry quality standards. The products that we offer find an extensive applications in offices, houses, institutes and schools for packaging purposes.